Bike Walk Lincoln Park: Successful first Lincoln Park Kidical Mass! 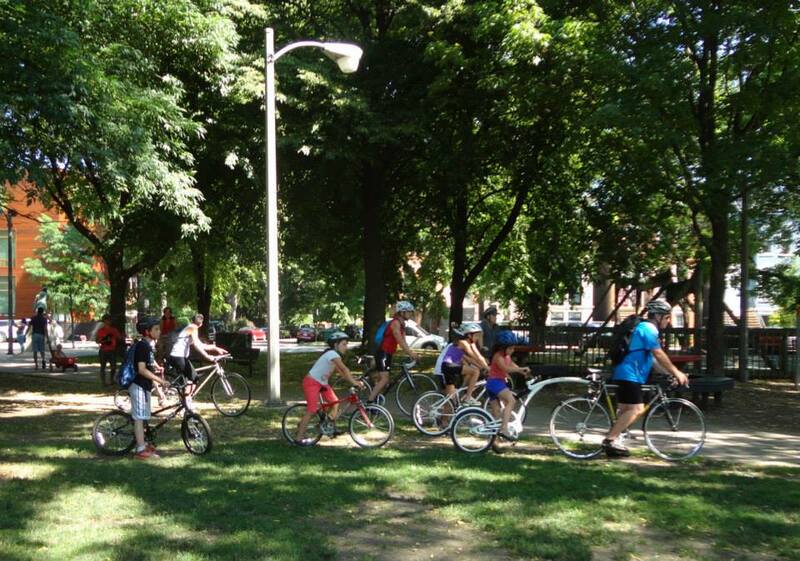 Dozens of families participated last weekend in a festive inaugural Lincoln Park Kidical Mass family bike ride! It was perfect weather on a quiet Sunday morning to gather in Oz Park for a little socializing before heading out onto the ride. We were joined by Alderman Michele Smith, who greeted the families and expressed support for family bicycling in the ward. There were kids as young as a few months old in a cargo bike, all the way to grade-school aged kids riding strong on their own bikes. You can see a set of 11 pictures on Flickr at this link. Many thanks to Lacey Cordero for organizing the event, Alderman Smith and her staff for supporting the ride, Chicago Kidical Mass founder Ash Lottes for joining our ride, Performance Bicycles Lincoln Park's Micah and Jakub for providing free pre-ride adjustments as well as ride support, Active Transportation Alliance for providing tattoos for the kids, DNA Info Chicago and many others for helping to publicize the event! 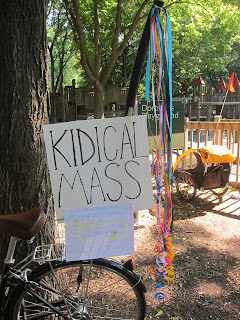 Bookmark the Chicago Kidical Mass website and check the calendar regularly. You can also follow @BikeWalkLP on Twitter and we'll definitely tweet notices of any future rides. 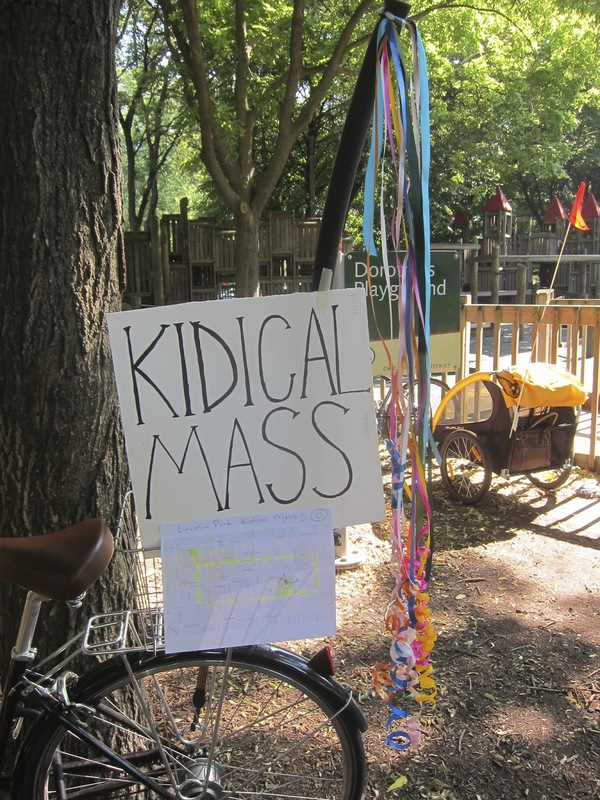 We'll participate whenever possible, but the rides will be under the umbrella of the Chicago Kidical Mass movement!